Shells and Coral rug - This rug is 3' x 5', and is durable enough to be placed indoors or outdoors. This rug is hand hooked, great quality, made with 100% polypropylene. Blue ocean colors, coral reef, and sea shells will add a fun beach theme to your home. 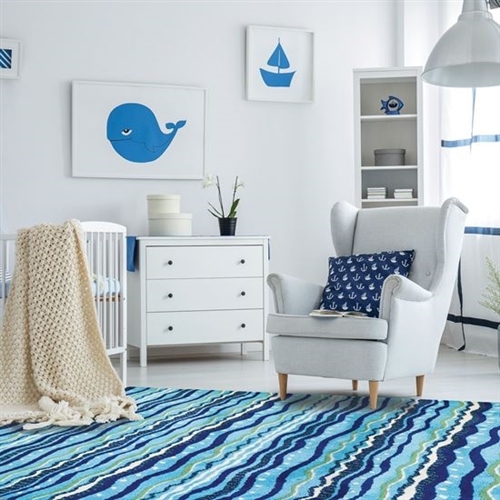 Great rug for any room, and will look great with any beachy bedding you have. These beach rugs should be vacuumed cleaned, spot clean or hosed off with cold water. This rug is non - flammable, and meets all rug standards.